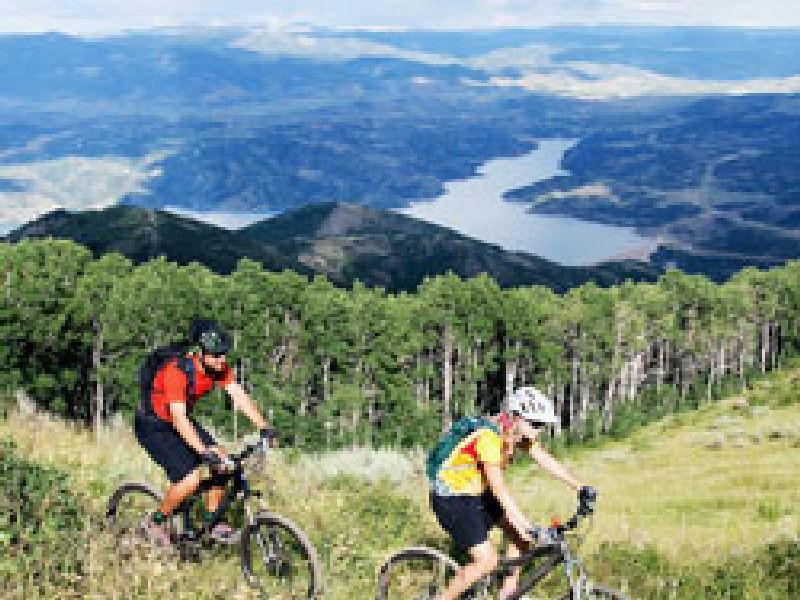 With over 400 miles of trail in Park City it can be a bit overwhelming to pick a ride, let alone pick an appropriate ride for you, your family or friends. 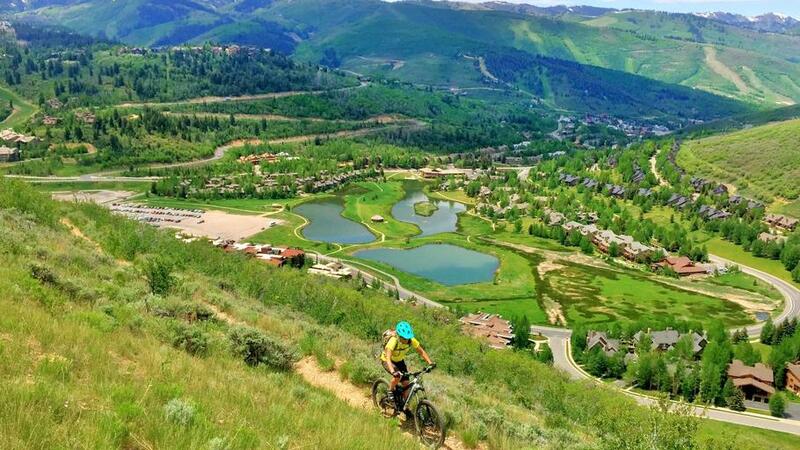 With summer officially here, now is the perfect time to highlight some rides in the Park City area that may help you plan your next adventure. 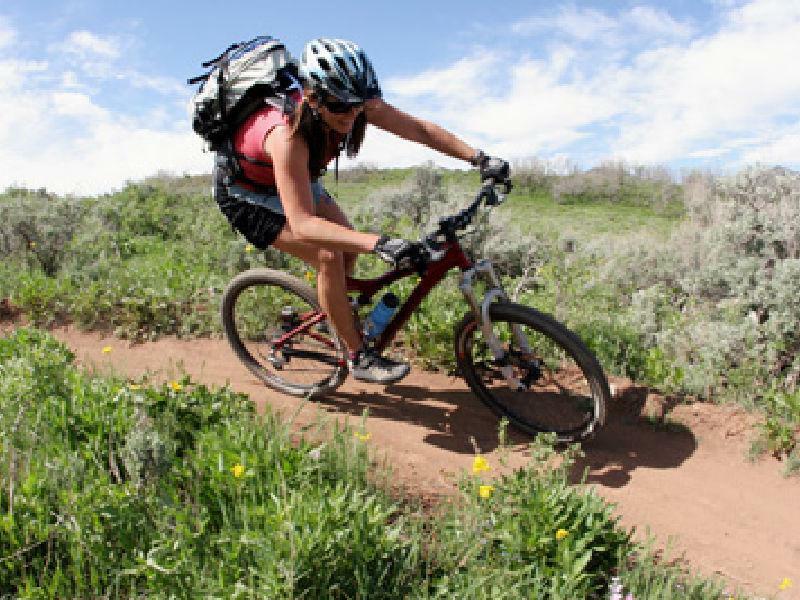 With such a vast amount of trail and so many options for ability, distance, scenery, etc., it can be hard to single out just a few trails, but the rides listed below should be great options to get you started. Kids- Start your ride at Trailside Bike Park with a skills session on Unga Bunga, followed by a lap or two on Yabba Dabba Doo. This location is a Park City favorite. Check out basinrecreation.org for a map of the Park. 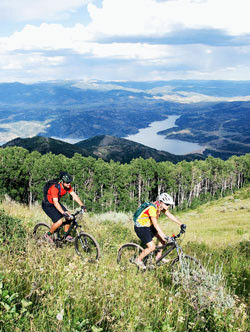 The Round Valley trail system is ideal for beginners and intermediate riders, offering many fun and fast loops. From the Silver Summit Parkway head to the east and catch the RV Connector to the Silver Quinn Trail, then hang a right on Round Valley Express. You’ll come to Cammy’s Trail where you’ll take a left and then merge onto the Matt’s Flat Trail. Stay left until you see the Matt’s Flat singletrack and jump on it. After a short while on Matt’s Flat singletrack you’ll come to an intersection with Somewhere Elks and The Practice Loops, hang a right downhill on The Practice Loop. At the bottom you’ll run into Ability Way, take a left and connect back with the Silver Quinn Trail behind the ice rink. This will take you all the way back to the Trailside Bike Park on a cruisy bike path. There are more than a few of us who like the down more than the up, and there are plenty of options that don’t require a shuttle or lift ticket. Start by catching the Empire Pass bus and get off at the Montage Hotel stop. 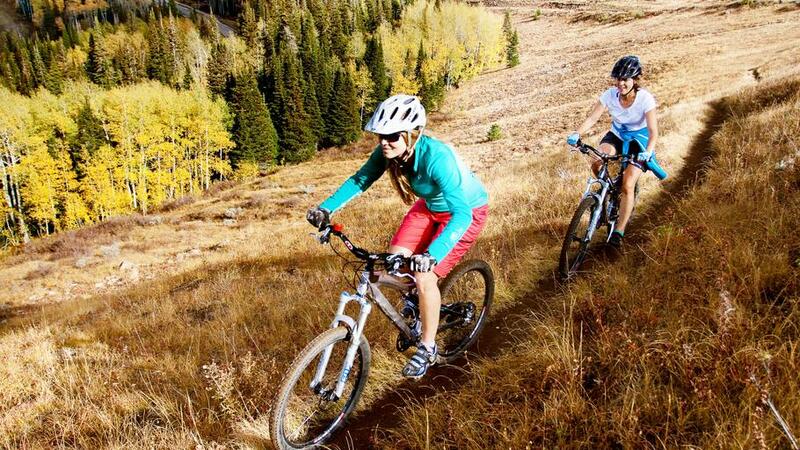 Pedal up the Guardsman Pass Road where you’ll reach the Mid-Mountain Trail. Head west and stay on Mid Mountain it until you reach Tommy’s Two Step. This short(ish) climb will bring you to the yurt at Park City Mountain and the start of the Mojave Trail. Head down the Mojave Trail until it intersects the Mid Mountain Trail and continue downhill (left). Eventually you’ll come to a road, and the Intersection with the Crescent Mine Grade Trail (CMG). CMG will take you all the way to the base of Park City Mountain. 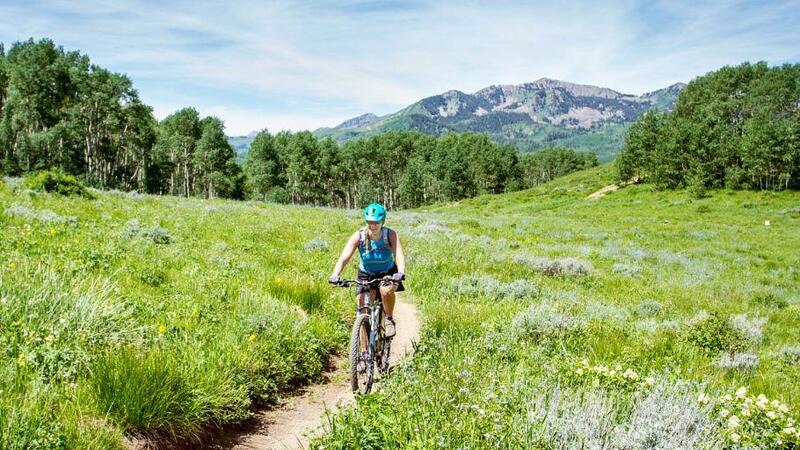 For stunning views, it’s hard to beat the Wasatch Crest Trail. If you like to climb you can access the “Crest” by climbing the Armstrong Trail to Pinecone Ridge. It’s a long climb, but well-built and not overly steep. Plan on a couple hours in the saddle going up if you choose this option. If you fall into the above category (climbing averse), you can book a shuttle to the top of Guardsman Pass. Once you’ve reached the top of the aptly named “Puke Hill,” head west on the doubletrack road towards the radio towers. 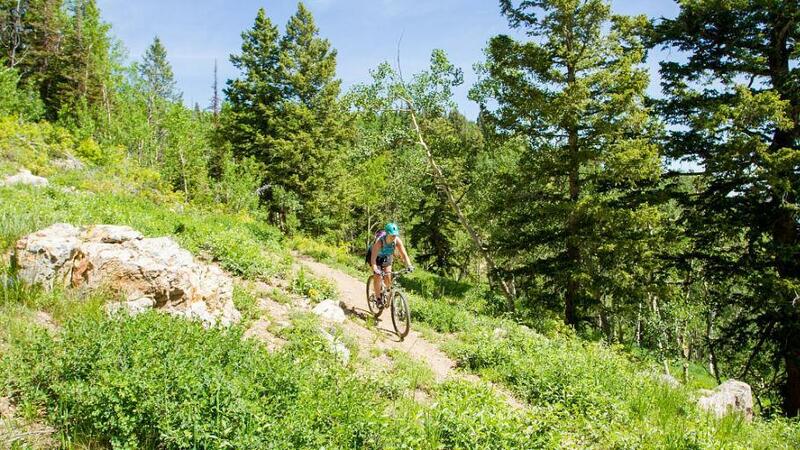 You’ll quickly reach a Forest Service sign and the official start of the Wasatch Crest singletrack. Do your best to keep your eyes on the trail as there are some technical sections that will demand your attention. Keep right on the Wasatch Crest Trail until you reach the Ridge Connector. Ride the Ridge Connector to the Mid Mountain Trail and hang a left hand turn. You have a couple options for getting down from the Mid Mountain Trail; you can take the Ambush Trail to Holly’s if you like things a bit more sporty/technical, or you can cruise the Rob’s Trail to Rosebud Heaven (make a left on the road at the bottom). Both options will bring you to the Canyons Village at Park City Mountain where you can have a car waiting or catch the bus back into Old Town Park City. Now all that’s left is packing up your car and heading for the first IMBA Gold Level Ride Center in the West, Park City, UT! Make sure you pick up a map from the Mountain Trails Foundation (mountaintrails.org) when you arrive at one of the local shop. Remember, this is just a quick primer to get you started and there is plenty more adventure waiting for you in the mountains of Park City.